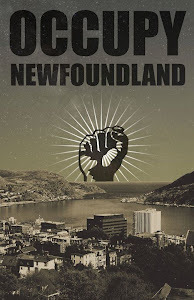 Occupy Newfoundland and Labrador: Occupy Groundhog Day! If capitalism sees its own shadow, does it mean we're in for another generation of economic winter? "While it is reasonably straightforward to describe what has gone wrong in global markets and boardrooms, and in the eurozone and the failed UK banks in particular, it remains extraordinarily hard to conceptualise a plausible alternative. The failure of socialism has a lot to do with this. But it is also extremely striking that almost no one anywhere in the western world has argued that China, the most obvious available example, offers a preferable alternative to the western model." Kettle's statements are symptomatic of the cognitive dissonance that has infected popular discourse. Leaving aside the sweeping remark about the "failure of socialism", let us instead focus on the notion that Chinese capitalism offers a preferable alternative to our current system. Rather than calling for the end of the winter of economic crisis (and thus the coming of a new, as yet unimagined season), Kettle instead thinks we should move towards authoritarian capitalism, modeled on China. That seems like wishing for more of the same (more winter). 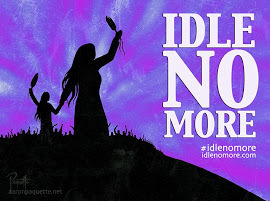 And while it is, admittedly, difficult to fully conceptualize an alternative, there are lots of ideas out there that people have been talking about for a long time, and we might as well dare to try something else instead of rolling over every morning and smashing the metaphorical alarm clock. The video below is an interview given by the philosopher Slavoj Zizek, in which he discusses, among other things, authoritarian capitalism and why it's not the path to take. Perhaps if Brian Kettle had seen this he might have better understood why no one else thinks it's worth pursuing. Great post. I hope we can get out of this endless winter... We need to be able to imagine a different world, not just impose a more authoritarian version of what already doesn't work. Well put. Ah, I could listen to Zizek talk for days.